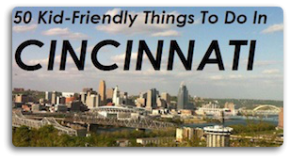 It’s no secret how the team here at Family Friendly Cincinnati feels about Skyline Chili. Over the years we’ve written about Skyline Chili numerous times, always professing our love for the Cincinnati chili tradition. The folks at Skyline recently reached out to us to let us know about a new seasonal menu item, the Chicken Bacon Ranch Wrap (and Salad), and invited us to try it for ourselves. We stopped in and tried the wrap, which was quite tasty, and during our visit started thinking…. of course we LOVE coneys and 3-ways/ 4-ways, etc. but Skyline is so much more. So we thought, why not share some of our favorites with you. I first discovered this burrito a few years ago during Lent. The Vegetarian Black Bean Deluxe burrito features black beans wrapped in a tortilla, topped with beans and rice, tomatoes, shredded lettuce, lots of shredded cheddar cheese and a dollop of sour cream. It’s a hearty and HUGE dish, and one of my favorites to order in the cooler months. OMG is all we can say after trying this wrap this week. Chicken Bacon Ranch Wraps are made up of Applewood smoked bacon, cheese, red onion, lettuce, and chunks of grilled chicken tossed in ranch dressing… but it doesn’t stop there. They’ve added Fritos.. that’s right, Fritos.. to give it an extra crunch. An orderer of wraps myself, I am hoping this one stays on the menu after the promotion as it was really tasty, and just might outshine my favorite Skyline wrap, the Buffalo Chicken Wrap. Up until the Chicken Bacon Wrap appeared, the Buffalo Chicken Wrap has long been my go-to favorite wrap sandwich at Skyline. The wrap features chunks of grilled chicken tossed in buffalo sauce, lettuce, tomatoes, shredded cheddar cheese, and Ranch dressing – though I swap out the Ranch for Blue Cheese… It’s So. Good. Photo from Skyline. This one’s actually for my youngest. He’s a bit of a hot dog purest (no chili or cheese for him), and the Kid’s Hot Doggy Special, with an extra bun, is his favorite thing to order at Skyline. This menu item, perfect for your picky eater, features two hot dogs on steamed buns. Those who like cheese, can have it added for no additional cost. The meal also includes a drink and dessert — usually a two-pack of Oreos. I am including “cracker bombs” as part of this meal too. Every time we visit our local Skyline my boys challenge each other to see how many crackers with hot sauce they can eat while we are waiting, without taking a drink. So, there you have it. While our hearts, and stomachs, will always yearn for coneys and 3-ways/4-ways, Skyline has a lot of non-chili menu items that are definitely worth exploring. Want to try one of these on us? Head on over to the Family Friendly Cincinnati Facebook page between October 14 and 21 for a chance to win a $25 Skyline gift card. Disclosure: Skyline Chili provided our family with a gift card so that we could try the new Chicken Bacon Wrap special. They also provided us with a gift card to giveaway to one lucky Family Friendly Cincinnati reader. Would love to try the Buffalo Chicken Wrap! It’s the crackers baby… and the small Greek! I love their chili cheese fries. ?